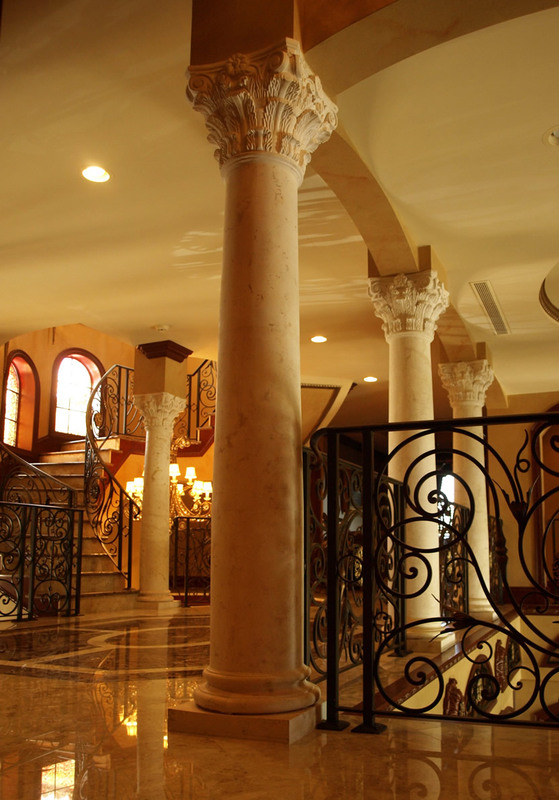 Our natural Stone elements are hand carved to satisfy your designs and expectations; we covered everything from moldings to columns, fireplaces, fountains, balustrades, flooring and much more. We have a number of different stone materials to choose from ranging from a rustic Fossil stone to the extremely elegant Macedonia stone. Variations of color and texture can be use to create you custom design.